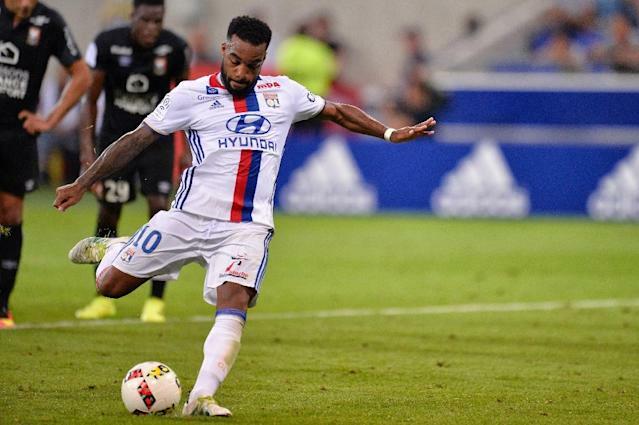 Paris (AFP) - Alexandre Lacazette made it five goals from two Ligue 1 games this season as his brace of penalties allowed Lyon to beat Caen 2-0 on Friday and continue their perfect start to the French campaign. Lacazette's first penalty came in the 31st minute and he netted again from 12 yards in the fifth minute of added time after an occasionally nervy second half for Lyon at the Parc OL. The goals gave last season's Ligue 1 runners-up six points from a possible six after Lacazette's hat-trick secured a 3-0 win away at promoted Nancy on the opening weekend. Lacazette, who scored 48 league goals in the last two seasons, has been linked with big-money moves to Premier League sides Arsenal and West Ham United this summer but Lyon coach Bruno Genesio has insisted he is going nowhere. The 25-year-old, not part of the France squad at Euro 2016, has indicated he wants to play Champions League football, and his current club will feature in next week's draw for the group stage of that competition. "Alexandre Lacazette is carrying on from where he left off in the second half of last season," said Genesio. "He is in good shape physically and mentally and is scoring goals but also playing a big part for the team on the whole." Lacazette's goals allowed Lyon to extend their unbeaten record at home since moving into their new stadium back in January, although it was not always easy for OL against the side from Normandy. The hosts, for whom summer signing Maciej Rybus, the Polish international left-back, made his debut, started strongly and were handed the chance to open the scoring on the half-hour mark. Ivan Santini stopped a Corentin Tolisso header with his arm in the box and Lacazette sent goalkeeper Remy Vercoutre the wrong way from 12 yards. That was all that separated the sides at the interval, though, and Caen nearly equalised three minutes into the second half when the 18-year-old Yann Karamoh, starting a Ligue 1 game for the first time, struck the bar. Former Lyon midfielder Steed Malbranque saw his late shot saved by Anthony Lopes as the hosts held on before winning another penalty right at the end. This time Syam Ben Youssef fouled Jordan Ferri in the area and again Lacazette converted the penalty to secure all three points. Monaco, who won 2-1 at Villarreal of Spain in the first leg of their Champions League play-off on Wednesday, are likely to rest several players ahead of the return leg when they go to Nantes on Saturday. 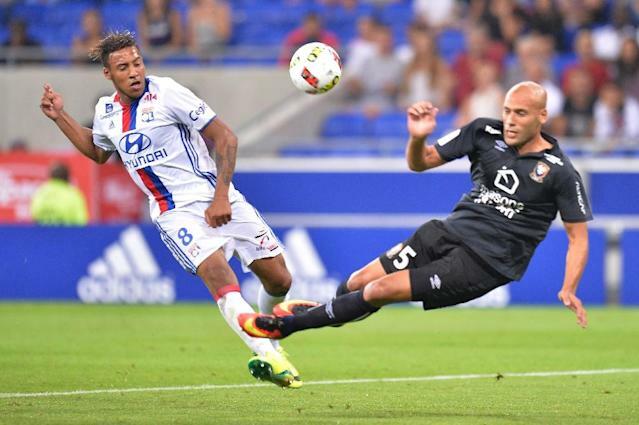 Champions Paris Saint-Germain play their first home game under new coach Unai Emery against promoted Metz on Sunday.